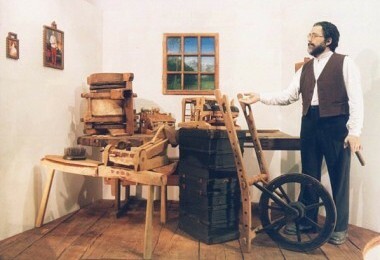 Diorama of the inventor of the typewriter, Peter Mitterhofer, in his workshop in 1864. Copy of his first typewriter with several original pieces like the transport vehicle which he used to carry his models to Vienna. In a second diorama the American inventor Christopher Latham Sholes is shown together with his daughter, presenting the first typewriter produced in the U. S. in 1874, next to a great amount of the first machine-made typewriters from the beginnings of mass production in late 19th century. Highlights are the very first typewriter that went into production, the famous Danish »Writing-Ball« Malling Hansen and the well known cipher machine Enigma used during WWII. A great amount of rare and exotic looking index typewriters are on show as well as music-typewriters and models with Cyrillic, Japanese, Chinese, Arab and Greek characters. A couch invites to have a break, watching a video or burying yourself in the museum‘s catalogue. Portable typewriters from the beginnings of their production join a selection of standard office typewriters. Typewriters used for accounting purposes and electrical typewriters, such as the successful IBM72 with its typeball (1962), are at the threshold of the digital era. Highlights: two gold-plated typewriters and the Phonograph, a recorder constructed by Thomas Alva Edison. 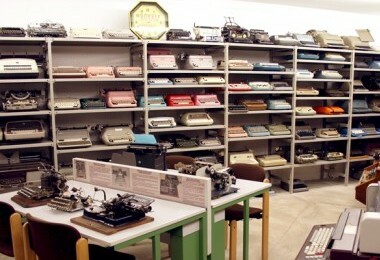 The gallery shows several typewriters for stenography and a selection of rare typewriters specially meant for blind people as well as a rich collection of typewriters for children (1901-1998), for example »My first office«, »La mia prima Olivetti«, »Barbie« and »Mickey Mouse«. 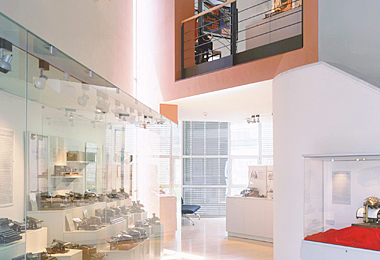 The display storage room completes the exhibition of the museum. 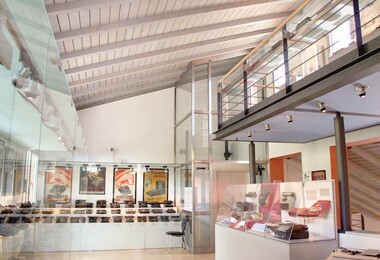 While the permanent exhibition narrates the history of the typewriter on the basis of particular exhibits, the »depot« contains the whole range of typewriters produced, and offers furthermore the possibility to try one or the other typewriter.